Hurrah! 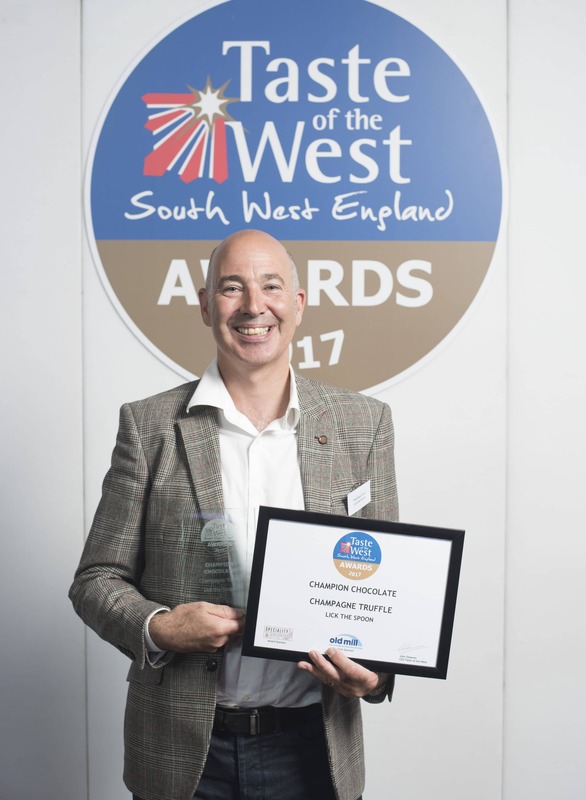 We’ve won Champion Chocolate at the Taste of the West awards 2017 for our Champange Truffles Chocolates Collection. The prestigious award ceremony was held on the 14th September 2017 in the Grand Hall of Exeter University. Beautifully made with the sweetness of vanilla, the bitterness of chocolate and a kick of booze, all complementing one another. Absolutely superb! Lick the Spoon have previously been named six times Best of Chocolate overall Category winner at the Taste of the West awards – and last year were named Champion Chocolate and the overall Supreme Champion across all products for their chocolate ‘The Bish’. We’re delighted to win Champion Chocolate once again, this time for our Champagne Truffles. 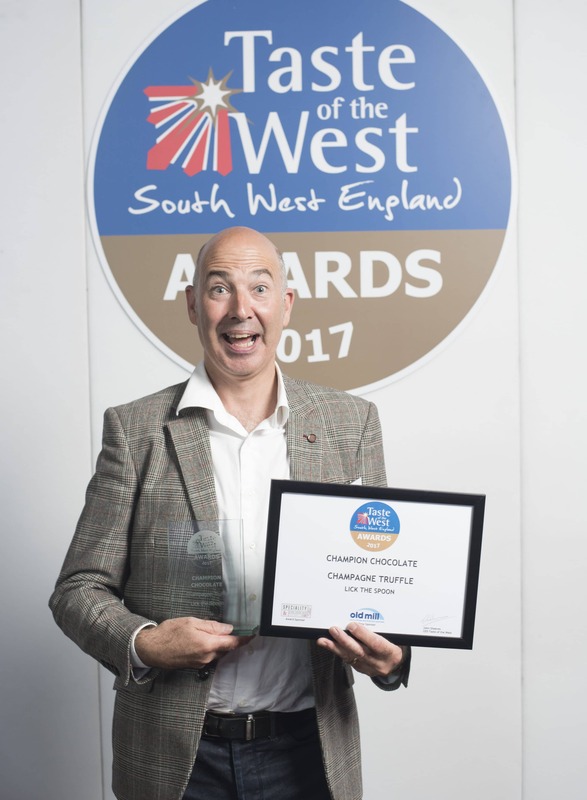 This is the third year in a row we’ve been named overall Champion Chocolate throughout the South-West, and it is a great boost for all of our team. Lick the Spoon hand make all of their chcolates in the historic town of Corsham, Wiltshire just outside of Bath. Their Chocolate factory was opened eight years ago. They are stocked by luxury stores including John Lewis Oxford Street as well as independent Farm shops and retail outlets. Customers throughout the UK can order directly from the company’s website and through wholesale distributors the Cress Company and Blakemore Fine Foods. This entry was posted in Awards, Front Page News, Press Releases. Bookmark the permalink.